When we look at many underlying causes of disease, we see chronic long term inflammation appear all too often. What isn’t so known is that inflammation can be a symptom of poor dietary choices. In mainstream culture, red meat is the go-to for fast foods like burgers, sausages and deli-style meats. The ‘foodie’ culture, it’s prevalent in Paleo and Keto diets. 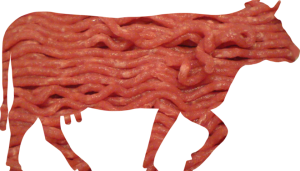 And in bodybuilding nutrition, red meat would feature as one of the most heavily consumed animal products. Eggs, chicken, and dairy – in the form of whey – would rank highly as also. Here’s an interesting article showing research that supports the now well recognised link between red meat consumption and a (somewhat preventable) disease, that unfortunately touches too many peoples lives.